Gareth Southgate is taking a leaf out of Sir Alex Ferguson's book when it comes to nurturing England teenagers Jadon Sancho and Callum Hudson-Odoi. 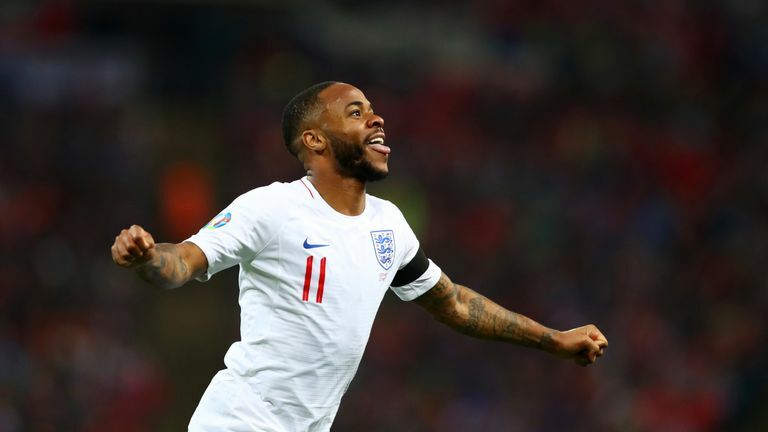 After reaching the World Cup semi-finals and this summer's inaugural UEFA Nations League Finals, the Three Lions got 2019 off on the right foot by beating the Czech Republic 5-0 in Friday's Euro 2020 qualifier. "We've got competition for places and I think with attacking players anyway they mature very young, and they can go in very young," said Southgate ahead of Monday's Group A clash in Montenegro. "So it's not an issue to play them, and really we've found another player that we really liked [in Hudson-Odoi], but we weren't certain that he'd be able to adapt to this level, and we're a bit fortunate in finding him, in that we probably wouldn't have done that in this camp. "We'd have given him a bit longer in the U21s. But already he's proved in this environment that he can more than cope." Southgate has shown he has no qualms about giving youngsters a chance and the former Football Association's head of elite development and England U21s boss pointed to the way ex-Manchester United manager Ferguson got the best out of the likes of Ryan Giggs. 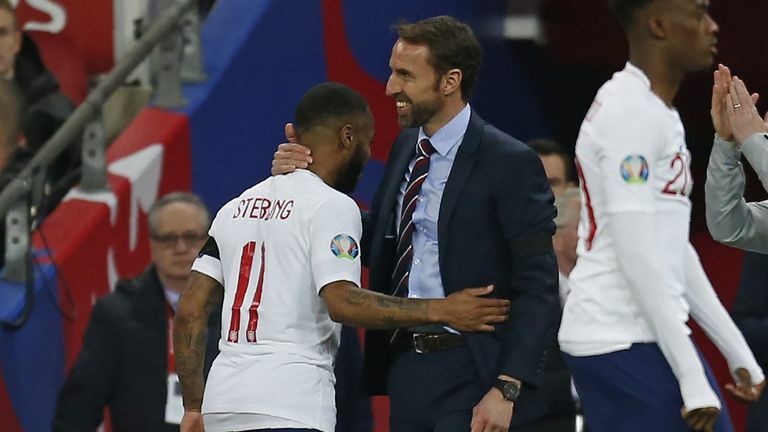 "I think that comes into everything: how much we expose them to the public, how much we put them into commercial situations," Southgate said of their responsibility to young players. "We've got to be thinking about all of that all of the time because it's very easy for them to enjoy these moments, and they've got to enjoy these moments, but equally, there's a good balance. "I always think of Sir Alex with Ryan and how he did that so well. They had sustained success because of that. "So, although they're not our player on a day-to-day basis, I think we've got a responsibility to do that as much as we can, because also we're putting them onto another level and we've got to make sure we get the balance right for the club, but most importantly for the player." It's an amazing feeling playing with him.I have always played with him through the youth, so it is nice to have a close friend with me. I am sure he will be proud of making his debut at Wembley, his family will be proud of him and I am just happy that everyone is doing well. Southgate finds young people rarely "baulk at anything" as a result, with their confidence and creativity complemented by an open-mindedness epitomised by Sancho's move to Dortmund. "If you look at the number of appearances, he has actually been on the field quite a lot," said Southgate who was unaware of his contractual situation. "And I know from when we were talking with the club earlier in the season how much faith Maurizio [Sarri] has in him. "He's got some outstanding players just in front of him. He's slowly getting more and more game time, and they've still got the Europa League as well. "So, I think he's maturing well. There doesn't need to be a rush for him. I think we've seen that with Marcus [Rashford] and his development. "He's getting first-team football and that's important, so for us, I think his progress is good, and, given that Chelsea could have a restriction on signing people, then his opportunities, if he continues with the level, will come." Sancho says Raheem Sterling has been a big help to him since he broke into the England set-up. "He is a great player, he is showing all the youngsters what it is about," Sancho said. "I am sure that he is going to go far in his career and I am just happy I am sharing a pitch with him. "He's cool, he speaks to me and Callum about what to do and what not to do, and he gives us advice. It's very good, especially as he is from London as well. He knows the background I've come from. You can follow Montenegro vs England on the Sky Sports App and skysports.com and watch highlights from 11pm on Sky Sports Football HD on Monday.